Many first responding vehicles need heavy-duty alternators to function through their everyday schedule. Many alternators are not sufficient enough to handle the electrical loads needed. A lot of the emergency vehicles are equipped with factory alternators, which are more reliable than passenger cars, but need to rev up their engines so that the alternators can have the adequate electrical load. Since many emergency vehicles, such as fire trucks, spend a majority of their time at idle – the engine and electrical energy will wear out. 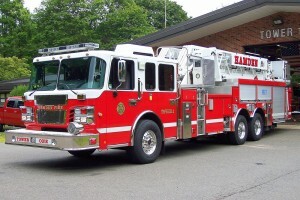 Fire engines will spend spend many hours at idle, on average 8,709 hours at idle a year. Buying an Eco-ech alternator will reduce the wear of the battery life. What will the Echo-Tech Alternator Do? The Echo-Tech alternator will have a high output, high RPM alternator that can power through jobs many alternators will struggle. “An Eco-Tech alternator can satisfy an output of 260 Amperes at 1,800 RPM, while our competitors’ typically need to operate at a very noisy, fuel consuming 3,000 RPM.” Out alternators do not require the unneeded maintenance, and will not breakdown as compared to our competitors. It saves on battery replacement and wear of the engine. Eco Alternators create less of a carbon footprint than most other vehicle alternators. They reduce engine drag by up to 50 percent and give off less toxic emissions. They offer superior performance at idle, while improving fuel economy. It can do all of this without sacrificing voltage, and eliminates the high output at idle. Since our alternators use 50 percent less drag, it shows a large reduction in pollution and toxic fumes into the environment. Many Alternators have this problem with wasted fuel. People who invest in an Eco-Tech alternator in a basic heavy truck can save on average $1,000 a year. Just from the first year of use, the savings alone will pay for the cost of the alternator. Our Medium Post goes into more detail the importance of buying a top-quality alternator. Read the entire post here! Our article on Medium explains what an alternator is, and why you should purchase a quality alternator. Alternators are important for generating electricity, and satisfying the electrical load for vehicles. We mention the appropriate alternator for each type of vehicle. Smaller vehicles can use the stock alternator, while larger vehicles should use the high output alternators. Each electrical load is different for each type of vehicle, and it is important to know which type of alternator is sufficient for your vehicle. To find out the fix for high electrical loads at low engine RPM, please read our Medium article. 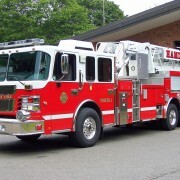 From large fire trucks to small cars, our alternators can power anything. Our competitors need a much higher engine RPM to produce the same electrical output. Our alternators are specially designed to increase the lifespan of the engine. So what happens when a regular alternator can no longer supply the sufficient need of electrical supply? In a regular stock holder, the battery life will take over when the electricity can no longer. By using a heavy-duty alternator, it can eliminate this problem, and extend the battery life of your alternator. Our alternators are as reliable as handling the energy of the most important emergency vehicles, and reduce its carbon footprint – so do not wait to install your heavy duty Eco-Tech alternator. You will save money, and save time from installing all of the unnecessary add-ons from the competing alternators. 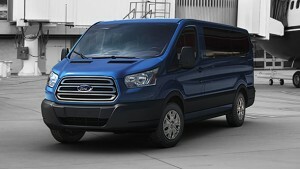 The popularity of Ford E-series vans is unparalleled – rarely do companies and consumers turn to other heavy-duty vans for high performance and durability. What are these vans often used for? 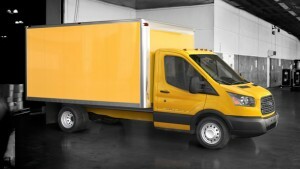 E-series vans are commonly used as construction and maintenance vehicles, mobile restaurants, utility vehicles, and even ambulances. Many E-350 and E-450 vans are specifically created as emergency vehicles. The E-series is powerful – a look at the 2016 Ford models reveals a 6.8L Triton V-10 engine. However, the stock or common OEM replacement alternator for these vehicles is a mere 130 amp alternator. Let’s think for a second how these vehicles are used. Construction, maintenance, utility, emergency service vehicles, and food trucks all sit at idle for long periods of time. A powerful engine is ideal – but these trucks simply don’t have the powerful alternators equipped to handle the large electrical loads produced at engine idle. However, Eco-Tech alternators are created exactly with these types of vehicles in mind. An Eco-Tech alternator can generate 260 Amperes, double than the stock alternator output in a Ford E-series. In addition to the amp difference, these alternators are specially built to withstand large electrical loads at idle, without producing a spike in the voltage. 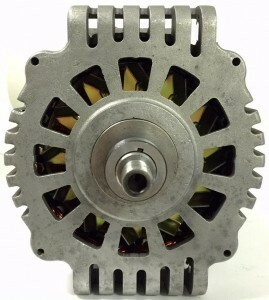 A stock alternator simply cannot handle large electrical loads, and over time, will cease to work. Shop for a better alternator, and start saving money on repair and maintenance today by switching to Eco-Tech. Feel free to contact us through our website, or give a member of our professional staff a call at (203)230-3000 to learn about Eco-Tech alternator options. One of the most popular series of trucks, the Ford F series is built Ford tough, durable, and meant for all types of on and off-road situations. Let’s think for a moment what heavy-duty trucks are actually used for. They’re not typically family vehicles, they are poor commuter vehicles, and rarely are they used for Sunday drives or joyrides. No, F-series trucks are used for what they’re made for: hard and heavy work. Let’s for a moment take a look at the Ford F-650 and F-750. These heavy-duty vehicles are not just regular trucks – both are capable of towing up to 37,000 pounds, and these trucks are terrific for construction, towing companies, and utility companies. However, the stock or OEM replacement alternator for these trucks is a simple, 130 amp alternator. Trucks that need to perform these types of jobs often sit at idle for long periods of time. 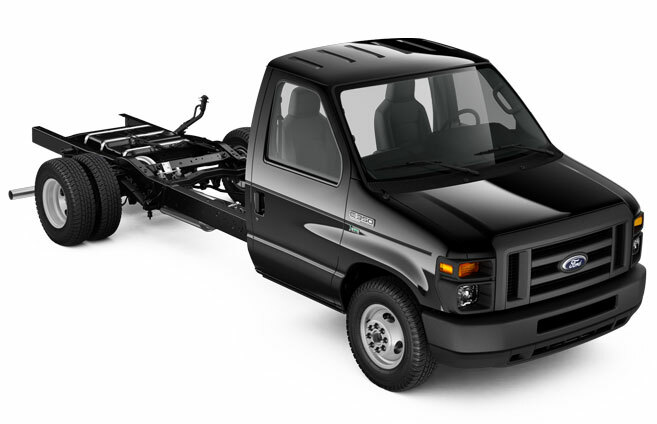 Service, maintenance, and construction vehicles need a high output alternator (one that generates 230 amps plus), to really be useful, not drain the battery, and satisfy the electrical load needed at engine idle. 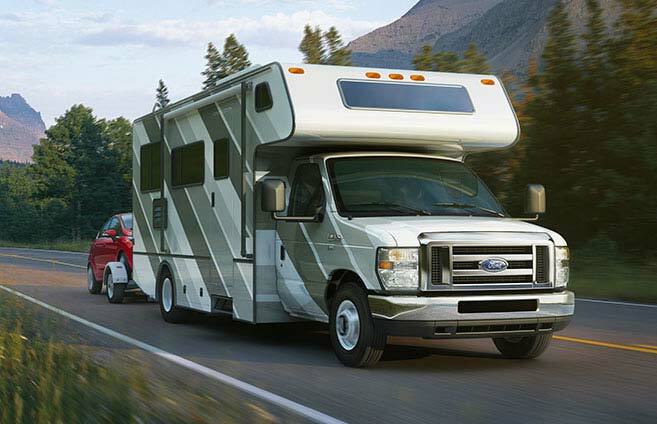 To learn how you can start saving money on repair and maintenance, increase your fuel economy, and overall have a better-performing Ford F-series truck with an Eco-Tech alternator, call Eco-Tech today at (203)230-3000 to speak with a member of our professional staff. Why does a heavy duty vehicle require a special alternator? Looking back at commuter cars or SUVs for a second, let’s think again about the electrical load required to be satisfied by their alternators. There are not electrically powered devices beyond the radios, dash and head lights, and heating/air conditioning fans that alternators need to power. In a vehicle such as a fire truck, however, there is an enormous electrical load , especially when the vehicle is operating at idle working at the scene of a fire. The same goes for refuse collection vehicles and utility company bucket trucks – all of these vehicles have one thing in common: a large electrical load that must be satisfied at idle. A simple, run of the mill stock alternator does not handle this well. The most important specification for these types of vehicles is a heavy duty alternator that performs well at low engine RPM and at engine idle. https://www.ecotechalternators.com/wp-content/uploads/2015/06/eco-tech-alternators-logo.jpg 0 0 etadmin https://www.ecotechalternators.com/wp-content/uploads/2015/06/eco-tech-alternators-logo.jpg etadmin2016-02-19 20:32:202016-02-19 20:32:34Why does a heavy duty vehicle require a special alternator?